Dried coconut is the meat of the coconut fruit that has been dehydrated. 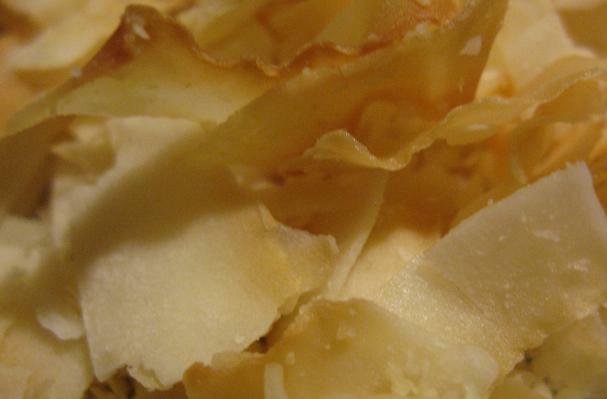 Dried coconut is either shredded or flaked and can be found either sweetened or natural. Choosing: Always check the packaging date for dried coconut. Packaged dried coconut keeps well for six months. Buying: Dried coconuts are usually packed in plastic bags or cans and are available in most supermarkets or baking supplies. Dried coconut can be mixed with powdered icing to serve as a topping for desserts. Store dried, shredded or flaked coconut in an airtight container. And Keep it in a cool, dry cupboard. History: The name coconut comes from the word "Coco" a Spanish/Portuguese word which means "grinning face, grin, or grimace" referring to the face-like appearance of the three holes found at the base of it's shell.